The second of our Off Road Triathlons was held at the weekend and we somehow managed perfect conditions for this one as well. There are some advantages to a dry Wet! A big thank you to our volunteer RD Luke Fronsko who along with the Cycle Zone Darwin crew set up another challenging off road course for us all to enjoy. Thanks also to our many wonderful helpers including the rego team of Kathryn Fuller & Clare Labowitch; Fran Edis (Fruit & Ice duty); Tim Wolf, Phil Blumberg, Angela Librio, Aaron Caden & Moira Wigley who did general duties and also to the people who helped with set up and those who assisted with pack away. It is a very busy time behind the scenes right now, particularly for our President Tony Cox who is driving our event preparations, overseeing our new trailer & rack acquisitions and who also recently went on a clean up mission in the storage shed. We now have items stored in large containers, hopefully the wildlife will find these less palatable! Countdown is on to our annual Sprint Series kick off - only 11 more sleeps! These are among the most popular events on our club calendar and we look forward to seeing your name on our entry list. 1. Please note the Sprint Series #1 and Short #1 are members only options. 2. The Come & Tri option is for non-members only. 3. We want to encourage you to submit your entries early. To entice you ... the 7th, 14th and 21st individual competitors to enter Sprint #1 will win a club t shirt (sizes & colours limited). 1. Our junior members head for the velodrome for Ride | Run Fun this Sunday (28 Feb 16). 2. Registration opens at 4:30pm for 5pm start. 1. Winners of the club t shirts drawn on Sunday - Col Smith, Andrew Jewell & Heath Porter. 2. Speedy team of Nic French & Heath Porter were first across the line on Sunday. Must have been the socks! 3. No names but one guy did the swim one armed and another had to borrow running shoes from a spectator! 4. Wishing Marnie Weatherald a speedy recovery. Marnie came off her bike during the Off Road Triathlon and injured her ankle. Lucky we have St John Ambulance at our events and she received prompt attention. 5. Ben Fisk has handed in his timing chip. Ben is heading back down south and we wish him all the best. 6. Junior member Poppy Goat heads for Bathurst and BMX Nationals next week & has a big week of racing ahead. Good luck Poppy! 7. Hearing the stork is going to be busy again this year. 8. Early bird entry for Ironman Malaysia (12 Nov 16) now open. Early bird rate until end of March only. 9. 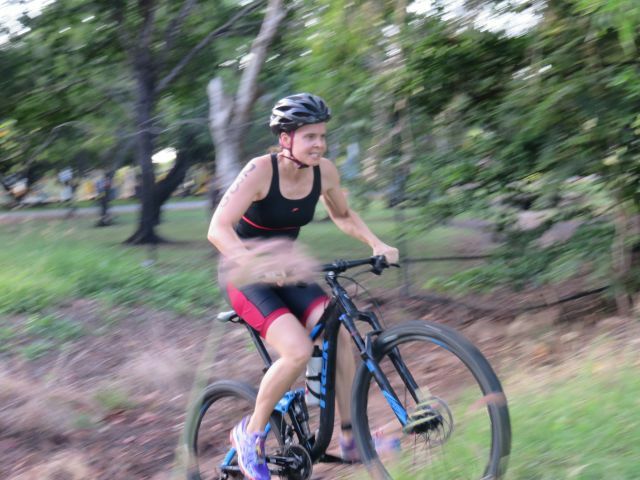 Triathlon NT's nano triathlon for beginners takes place this weekend. 10. 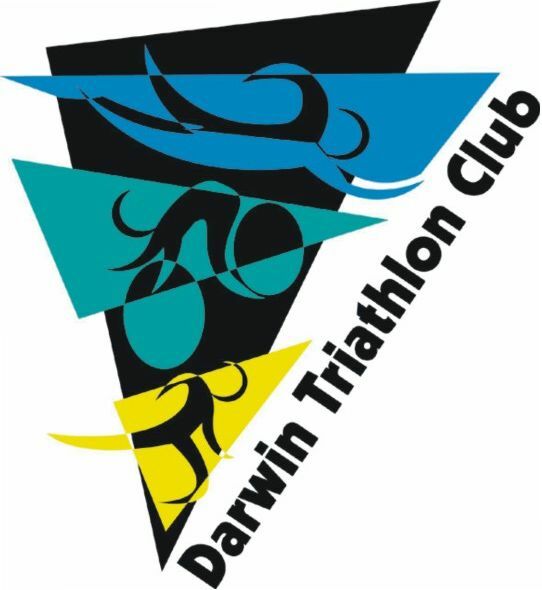 Don't forget you can keep up to date with all things Darwin Triathlon Club via our Facebook Page and/or our Twitter and you don't have to be on either to access. Bookmark them both! 12. Don't forget our competition! You are in the running to win a club tshirt if you enter Sprint Series #1 early, get on to that now here . 13. There are a number of vacancies on our event calendar. If you haven't yet put up your hand we would love to hear from you. It would be such a shame if the committee have to cancel an event for lack of a volunteer Race Director when there are so many of our members who could manage this task easily. Lots of help is provided. It's not like it was years ago as all the behind the scenes stuff (sanctioning, permits, water safety, ambulance, permanent swim buoys etc) is already done for you. You don't even have to give the race brief if you don't wish to! Hoping to be inundated with RD & other volunteers today. Please email darwintriclub@gmail.com if you can fill a vacancy.